The postcard-worthy Driessen Beach Park is a little hard to find, and for most Hilton Head Island regulars, that's a very good thing. Seldom crowded, with plenty of parking spaces to go around, this relatively expansive park has plenty of room to roam, and plenty of beachside and wooded amenities to keep everyone in the family perfectly comfortable and completely entertained. 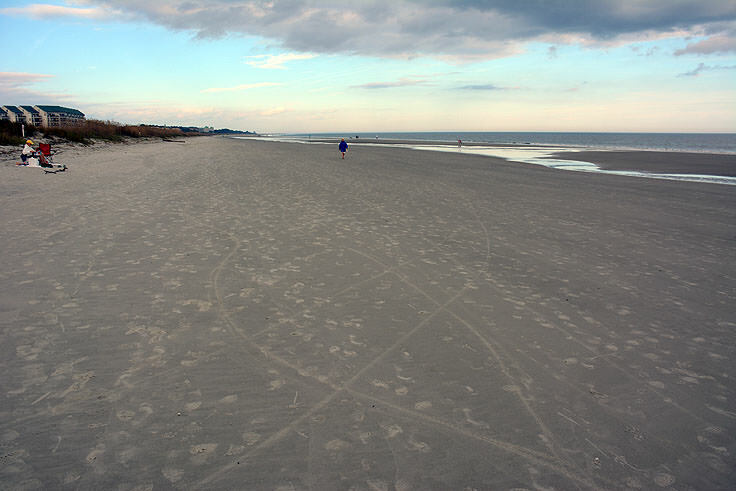 A perfect stretch of sand for Hilton Head Island day trippers, or folks who just want to check out a reasonably isolated stretch of the oceanfront shoreline, Driessen Beach Park is a gem that's just popular enough with the regular sandals and lotion crowd. The park is located at the end of Bradley Beach Road, an unimposing side road that connects to the William Hilton Parkway. The park is located on the northern half of the island, bordering several condo and resort complexes, but nonetheless remains fairly unpopulated even during the height of summer. 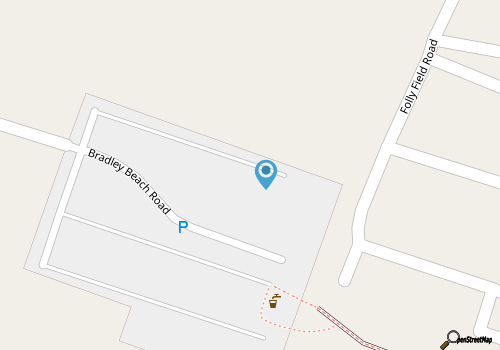 This is due mainly to the fact that, unless a visitor knows where the park is located, the site is relatively hard to find, and the Bradley Beach Road and the park itself are both tucked away in a shaded, and heavily wooded region. Once at the park, visitors will find ample parking spaces with "honor system" parking meters. The rate to park at Driessen Beach is nominal, at $.50 per hour, which means that a carful of visitors can easily enjoy a full day that the beach for well under five bucks. 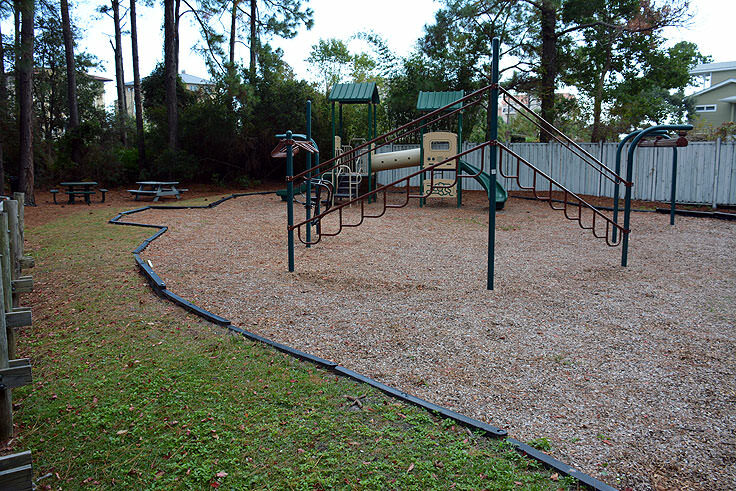 Adjacent to the shaded parking area, visitors will find a small playground with swings and slides, picnic areas with tables, grills and picnic shelters, and walking paths through the vast wooded area which is covered with tall cedars, live oaks and pines. 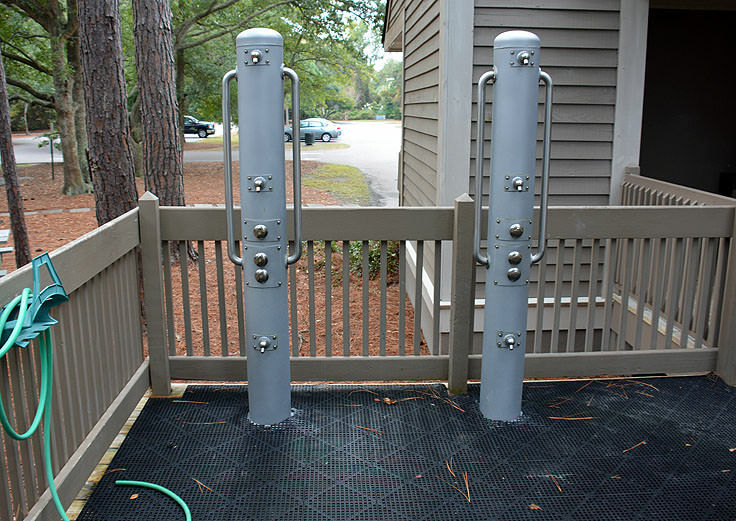 The park also features ample restrooms, drinking water, outdoor showers, and seasonal beach rentals for folks who forgot to bring their beach gear along for the ride. All facilities are available on a first come, first serve basis, and rental gear is generally available during the summer for an hourly or daily fee. 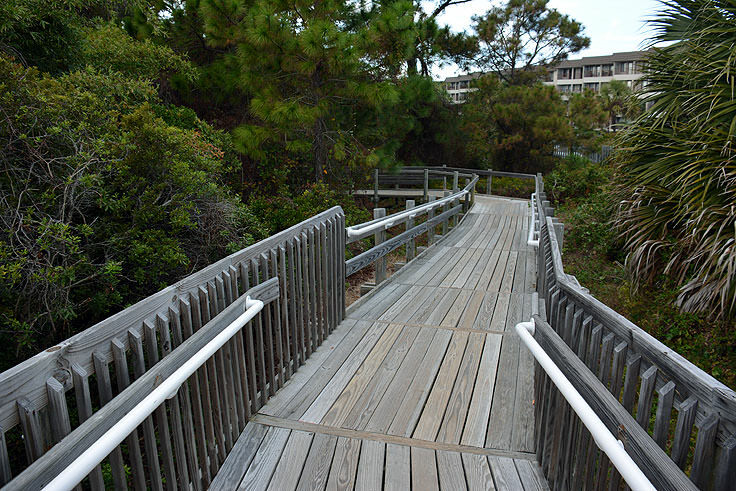 At first glance, the park resembles a mainland retreat, with lots of thick woods and no ocean in sight, but visitors can easily head to the shoreline via the very long wooden boardwalk that connects the maritime forest with the shoreline. Extending a good 1/8 mile or so, the boardwalk crosses over pretty uninhabited marshes before connecting, eventually, with the beach. The beach earns this park rave reviews, as the shoreline is exceptionally wide and can accommodate plenty of beach towels, chairs and umbrellas. The ocean floor itself is generally flat, with mostly small, easily manageable waves, which makes it a perfect playground for wading, body boarding, and just splashing around. (Please note that these conditions can change on exceptionally windy days or during stormy conditions.) The sand is almost a stark white, with a few patches of seaweed or seashells depending on the day. The beach is also lifeguarded during the summer season, generally classified as Memorial Day through Labor Day. The park is open daily from 6:00 a.m. until 9:00 p.m. in the summer months, and daily from 6:00 a.m. until 6:00 p.m. in the winter months, with hours of operation changing according to Daylight Savings Time. Parking is always available on a first come, first serve basis, although there is usually enough parking spaces to go around. On big holiday weekends, like Labor Day weekend or 4th of July, visitors should plan on arriving early to secure a spot, just in case. 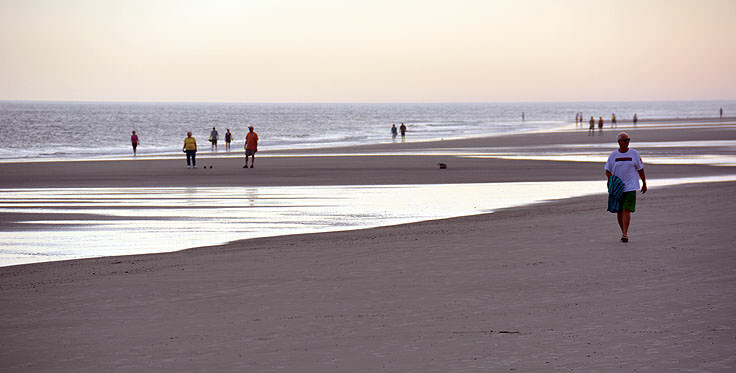 Driessen Beach Park is considered a hidden treasure for many long-time Hilton Head fans, and it's easy to see why. With ample amenities, cheap parking, and a slightly secretive designation as a stellar public beach, the park is a great fit for day trippers, coastal explorers, and anyone on the hunt for the island's best stretches of shoreline. 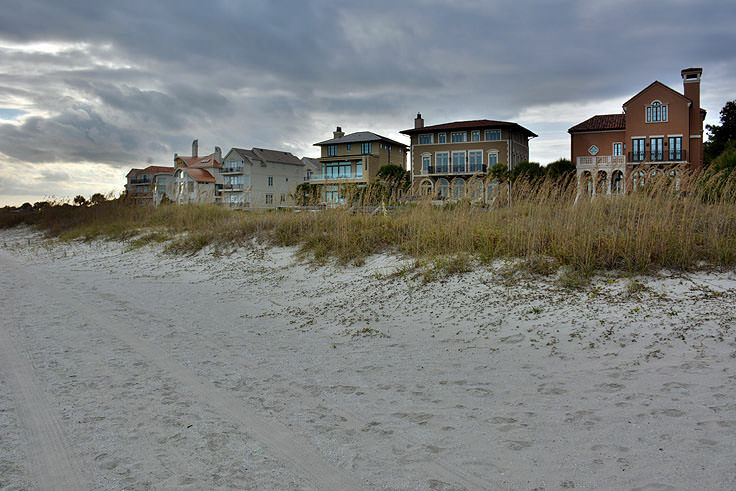 Bring the chairs, towels, and umbrellas, (or just rent some on site), and discover why Driessen Beach Park is known as one of the best worst-kept secrets on Hilton Head Island.